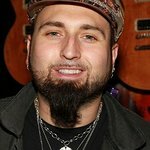 Monte Pittman is a Texas born musician who plays with Madonna, Prong and Adam Lambert's live bands. Very recently, he released his first album, entitled The Deepest Dark. He has worked on over 25 musical projects with massive artists including Sophie Ellis Bexter and Melanie C.
He is a strong supporter of Little Kids Rock and not only is an honorary boardmember but has also helped by filming a public service announcement supporting their work, visited music classes with the charity and raised funds for them through various means. Google trends for "Monte Pittman"
We don't have any news stories about Monte Pittman. We don't have any videos related to Monte Pittman.